Both legs can be the same or different - the choice is yours! Lounging around is the best part of the day. Do it in cool pants personalized by YOU! With these pajama pants, you'll never feel cooler chilling at home. 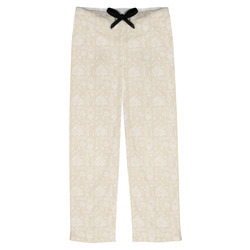 They are the perfect thing for sleeping in as well as lazy days. These USA made pajama pants come in 6 different sizes ranging from XS to 2XL. You will find a size chart in our pictures to help you decide which size will be best for you. 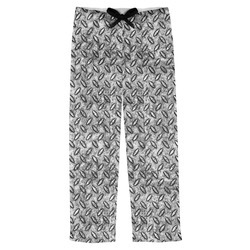 The pants are made from a comfy jersey knit material. There is elastic in the back of the pants as well as a draw string at the front in order to be able to change the size according to your comfort. Go into the design center to find the perfect pattern. You can even make your own personalized pattern with our pattern make! Make something super cool that is totally radical. If you have any questions while navigating the design center, just give us a call! 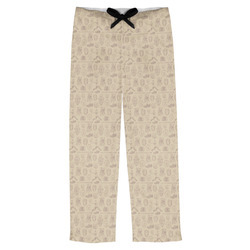 These PJ pants make for a great Gift! Looking for something else to give him? Go to our Gifts For Him section where you'll find wallets, luggage tags, car accessories, drinkware, and more! 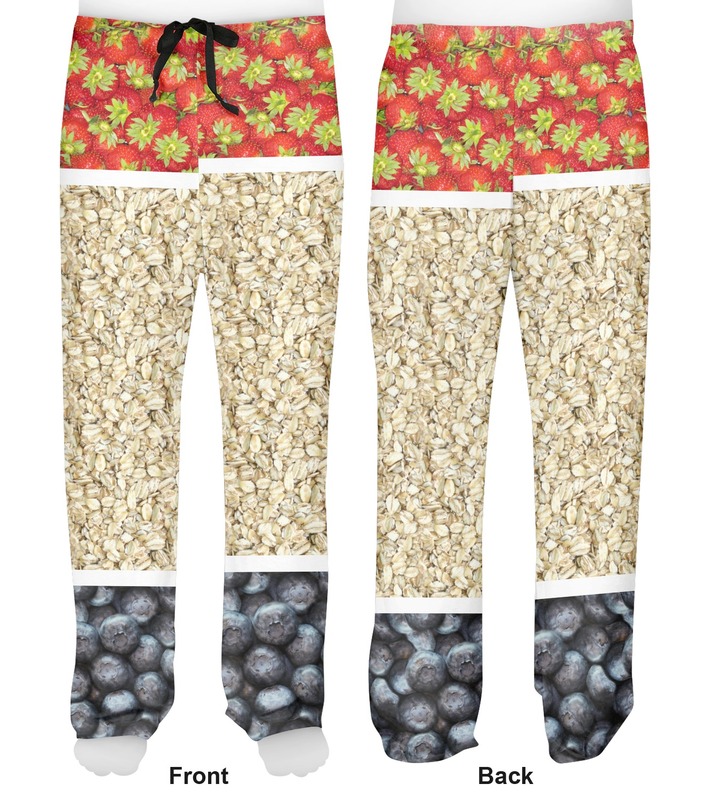 I ordered pjs decorated with some of my husband’s new favorite foods. After his heart attack four years ago, he listened to his doctor and nutrionist and seriously changed his diet. I hope the fun strawberries, blueberries and oatmeal will be an encouragement for him to keep up the good work!